Open flames, cooking oils, cleaning chemicals, and paper products are the perfect ingredients for a fire, and all are found in most restaurants. So, it’s no surprise that fire companies respond to more than 8,000 structure fires at restaurants and bars each year, according to the National Fire Protection Association. A fire in your restaurant can cause lost revenues, injuries, death, higher restaurant insurance premiums, lawsuits, and even the end of your business, which is why it’s essential that you and your staff understand fire risks and do everything possible to prevent fires. The right insurance can help pay for damages caused by a fire, but preventing fires should always be your first line of defense. It’s no surprise that cooking is the leading cause of restaurant fires, accounting for 64 percent of all restaurant fires according to the US Fire Administration (USFA). When flames get into the kitchen’s ductwork, exhaust systems, vents, and fans – all of which are prone to grease buildup – fire can quickly spread. The deadliest restaurant fire in US history was at the MGM Grand Hotel and Casino in Nevada in 1980. A result of an electrical ground fault, the fire killed 85 people. According to the USFA, seven percent of all restaurant fires are caused by heating and electrical malfunctions. Unsafe wiring, switches, plugs, or sockets projecting heat onto a flammable or combustible material cause these fires. Often, outdated wiring is not able to handle the voltage used by today’s appliances. Commercial kitchen equipment is certified by NSF International; however, most smaller equipment purchased at retail stores is not certified and can be a hazard when used in commercial kitchens. Gas leaks and the resulting explosions are often the most devastating fires. Thankfully, this type of occurrence is uncommon but can occur when older or neglected equipment isn’t able to support the flow of gas. Gas is released into the air and can be ignited by turning on an electrical device or lighting a match. Other causes of restaurant fires include unintentional, careless actions (4 percent), appliances (4 percent), other heat (3 percent), and several other categories, according to the USFA reports. Your workers should be trained in fire prevention methods and the importance of proper cleaning. Workers should know not to use water to try to put out a grease fire because it can cause the grease to splatter and spread the fire. Employees should be trained on how to use a fire extinguisher. The National Restaurant Association suggests using the acronym PAST – pull out the Pin, Aim at the base, make a Sweeping motion, and be Ten feet away. Employees should know how to properly store flammable liquids – kept in original containers or puncture-resistant tightly sealed containers stored in well-ventilated areas. 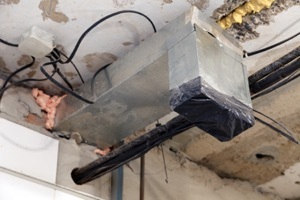 Fire-suppression systems should be professionally inspected twice a year. The pressure gauge on portable fire extinguishers should be checked monthly to be sure that the extinguisher is holding pressure and inspected and certified annually. Electrical equipment should have regular maintenance and regularly checked for frayed cords and cracked or broken switch plates. Exhaust systems should be inspected for grease buildup. In high-volume operations, the NFPA requires quarterly inspections and semi-annual inspections for moderate-volume operations. Fire-suppression systems, which are built into stoves or oven hoods, have sensors that can detect a fire and automatically release a chemical to put out a fire and shut down the fuel or electric supply to cooking equipment. Installing a fire suppression system can sometimes lower your insurance premiums. You should also keep portable fire extinguishers handy as a backup. Class K extinguishers are used for kitchen fires that involve grease, fats, and oils that burn at a high temperature. Class ABC extinguishers can be used on all other fires such as paper, wood, electrical, etc. Benjamin Franklin said, “An ounce of prevention is worth a pound of cure.” Understanding fire risks in your restaurant and taking steps to prevent them will help keep your employees, your customers, and your business safe. If these measures fail, having the right insurance can help repair the damage. But don’t overpay for restaurant insurance. 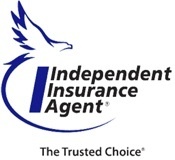 Give the independent agents at American Insuring Group a call at (800) 947-1270 or (610) 775-3848 or contact us online. We’ll search competing insurance companies to find affordable restaurant insurance that will properly protect your business. 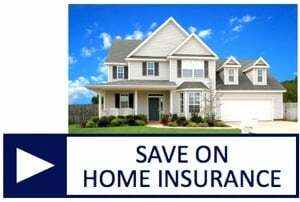 Don’t delay – call the experts at American Insuring Group today! According to the Brewers Association, craft brewing was a $26 billion industry in 2017 and accounted for more than 23% of the $111.4 billion U.S. beer market. While overall beer sales were down about 1%, craft brewing grew at a rate of 5% by volume. As the demand for craft beers increases, the number of craft breweries continues to rise! For many, making craft brews is fun: creating original recipes, coming up with clever names, and watching people enjoy your creations. In fact, many of these craft breweries are started as hobbies among a bunch of friends or family members in someone’s garage. However, it’s important to remember that once you begin selling your beer or if you decide to open a brewpub or restaurant, you need to treat it like a business and that includes addressing safety and risk management. The safer your brewery or restaurant, the safer your workers. Safe workers mean fewer injuries and expenses and perhaps even the difference between a thriving business and one that is forced to shut its doors. Insurance will help protect you, your workers, and your brewery or restaurant, but prevention is always your best bet. 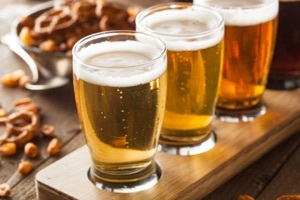 There are a surprising number of hazards during the production of beer: grain mills with sharp parts, mash and lauter tuns with boiling ingredients, chemicals, overflowing kettles, pressurized fermenter tanks. Then there hazards common to many industries such as the use of heavy equipment and ladders. If you want to keep your workers safe and protect your business from lawsuits and Occupational Health and Safety Administration (OSHA) fines, it’s important to recognize potential hazards and address them BEFORE someone is injured or worse. Carbon Dioxide (CO2) is a colorless, odorless gas produced during beer fermentation. It’s heavier than air, soit can collect at the bottom of confined spaces and containers such as tanks. When it accumulates, it can lead to dizziness, loss of consciousness, and even death. As the volume of beer production increases, breweries to use forklifts and other equipment to move heavy loads like raw materials, pallets of kegs, and cases of beer. It’s essential that a qualified person trains anyone who is going to be operating any of this type of equipment before operating the equipment. Brewers use a variety of hazardous chemicals and toxins such as caustics and acids used in sanitization that can cause irritation, sensitization, corrosion, fires, and explosions. Workers need to be trained on proper handling of hazardous materials, the use of personal protective equipment, and first aid. OSHA requires that safety data sheets be available for every hazardous chemical used. Falls are one of the most common causes of serious work-related injuries and deaths. The use of ladders and catwalks in breweries can create falling hazards. Guardrail systems, safety nets, personal fall protection systems, and training on the proper use of ladders can help prevent falls from higher levels. Spills should be cleaned up immediately, floors should be kept clean, and any potential hazards clearly marked. Brewing beer can still be enjoyable, but once you begin selling your beer or decide to open a restaurant, it’s important to assess hazards and take a few safety measures to protect your workers and your business. The right insurance coverage – whether that’s genera liability, workers’ compensation, or liquor liability insurance – provides protection when safety measures fail. Give American Insuring Group a call at (800) 947-1270 or (610) 775-3848, or contact us online to get the right insurance at the best price for your brewery or restaurant. Our independent insurance agents will compare plans and costs among competing carriers and present the best insurance solution to meet your needs. 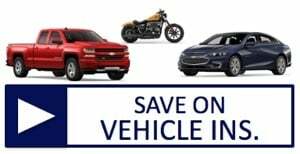 Call or click today to get started! One of the best ways to reduce restaurant insurance costs is to improve workplace safety – especially in the kitchen. 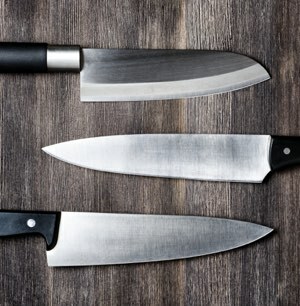 Since cuts and lacerations are one of the most common injuries found in restaurant kitchens, it just makes sense to enforce knife-handling safety. 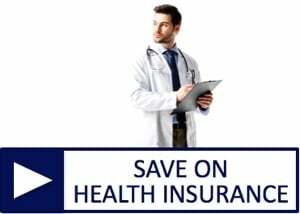 It could take a considerable chunk out of your insurance costs and create a healthier and more productive work environment to boot! Keeping your knives sharp is one of the easiest ways to make them safer. A dull knife forces you to apply more force, which is more likely to cause a slip and increase the risk of injury. Use a sharpening stone or knife sharpener to maintain the original sharpness of the blade. Most knife blades are designed with a 20-degree angle on each side. If many of the ingredients you’re cutting are harder, this is perfect, but if most of your ingredients are softer, you may want to sharpen your knife to a 15-degree angle on both sides. Knives come in many different shapes, sizes, and styles. You have your chef’s knife, your paring knife, your bread knife, your cleaver, etc. Each is made for a different type of task. When choosing the best knife for a job, consider the size of the blade and what you are cutting and the type of blade edge – serrated, etc. Here’s an in-depth guide for choosing the best knife for the job. And remember to treat your knives well. They are not made for opening cans or boxes; they are made to cut food. Using them for other tasks can quickly damage your blade making it dull and unsafe. Always use a cutting board to protect your hands and your knives and to allow you to cut consistently. Knowing how to grip the knife and how to hold the food you’re cutting is also important. There are two basic ways to hold a knife – the handle grip and the blade grip. The food you’re cutting should be placed on a cutting board on a stable, flat surface. Protect your fingertips by curling them inward, using your knuckles to guide your knife. Commercial kitchens can be hectic places, but pay attention to what you’re doing when you’re holding a sharp knife. Even a moment’s distraction can cause an accident and an injury. Every knife should have a specific storage space – NOT in a drawer – where it is kept when not in use. A knife block or roll will not only help protect your employees but also keep knives easily accessible and protected, so they will last longer. Don’t leave knives laying on the counter between uses. They can easily get knocked off and cause an injury. Do not leave your knife on a cutting board or in a sink full of soapy water. Immediately washing your knife and returning it to its designated storage space will help keep your employees safe and prevent contamination keeping your customers safe. Safety Training Pays in More Ways Than One! It’s essential that restaurant employees are adequately trained on knife safety and that you make it clear to everyone that safety is a priority in your restaurant. So remember to follow these knife safety tips to protect your employees, reduce accidents, and lower your restaurant insurance costs. 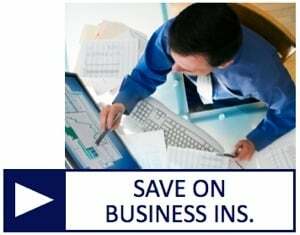 Save On Restaurant Insurance - Contact Us Today! 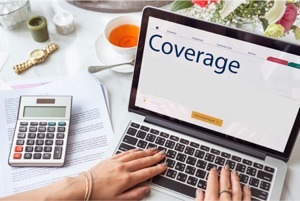 Another way to take a bite out of restaurant insurance costs is to work with an independent insurance agency like American Insuring Group. Not only do we have agents who specialize in restaurant insurance who make sure that you get the right insurance for your individual needs, but we are also insurance brokers, so we compare costs among many competing insurance companies to find you the best price for that insurance! High quality insurance protection for your restaurant at a great price - now that's a real win-win for your business! 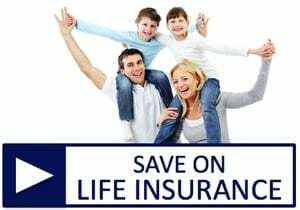 So give American Insuring Group a call at (610) 775-3848 or (800) 947-1270 to speak with one of our restaurant insurance specialists, or contact us online. Safer Kitchens = Lower Restaurant Insurance Costs. Here's How. Restaurant kitchens are notorious for having open flames, sharp equipment, fast-paced work environments, tight spaces, and many other safety risks. If you can make your restaurant a safer place for your employees, you'll create happier and more productive employees and lower your restaurant insurance costs at the same time. It's that simple. But, as we know, simple doesn't always mean easy! Unfortunately, restaurants often experience high employee turnover so too often new employee training consists of "here's what we serve" and "here's where we keep X, Y, and Z." Just a few minutes of safety training can go a long way to a safer restaurant and fewer injuries, and the more extensive the training, the better results you'll see. New employees should be taught basic food safety practices, common hazards (falls, burns, cuts, etc.) and how to avoid them, and how to safely operate equipment. According to the National Fire Protection Association (NFPA), there are approximately 7,410 structure fires in restaurants every year resulting in about three deaths, 110 injuries, and $165 million in property damage. Cooking equipment caused three out of five of those fires. Deep fryers were involved in 21% of those fires and ranges or cooktops were involved in 14% of those fires. Failure to clean was a factor in 22% of the fires. That's worth repeating… failure to clean was a factor in nearly one-quarter of those fires. Therefore, one of the most effective ways to avoid many fires in a kitchen is to keep your equipment clean. You also want to make sure that kitchen staff stays attentive to cooking dishes. This is where proper safety training comes in. Employees should know how to put out a grease fire, how to use a fire extinguisher, and how to turn off gas and electrical power in the event of an emergency. An evacuation plan should be posted, and all employees should be familiar with it. Common injuries in restaurants include burns, cuts and punctures, sprains and strains, and eye injuries. All employees should be trained on how to avoid these injuries and what to do if they occur. Create a safe working environment with slip-resistant mats, wet floor signs, exhaust fans, thermostats, fire extinguishers, fire and smoke detectors. Where appropriate provide employees with Personal Protective Equipment (PPE) and require that they are worn. Examples of PPE include dishwashing gloves, cut-resistant gloves, freezer gloves, oven mitts, aprons, anti-slip shoes, and back support belts. Creating a safe environment in your restaurant isn't just good for your employees, your customers, and your vendors, it's also good for your bottom line! If you want to learn more about saving money on restaurant insurance, give one of the experienced agents at American Insuring Group a call at (800) 947-1270 or (610) 775-3848 or contact us online. Not only does American Insuring Group specialize in commercial insurance to ensure that your business is adequately protected, but we also compare pricing with competing insurance companies to make sure you get the best price.